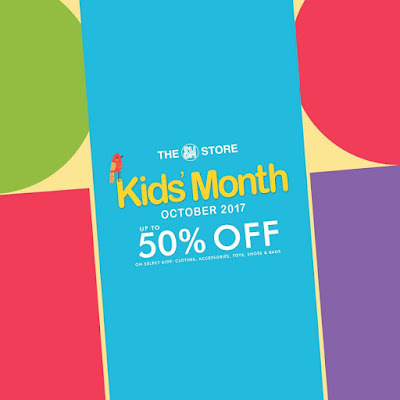 Get ready to shop for your little ones - it's SM Kids' Month at The SM Store this whole month of October 2017! Enjoy up to 50% OFF on select kids' clothes, shoes, bags, accessories, and toys. Plus...Receive a P100 shopping voucher when you shop from each of the 3 departments - Kids' Fashion, Kids' Shoes & Bags, and Kids' Accessories with a minimum P2,000 spend. You can use this voucher on your next purchase. 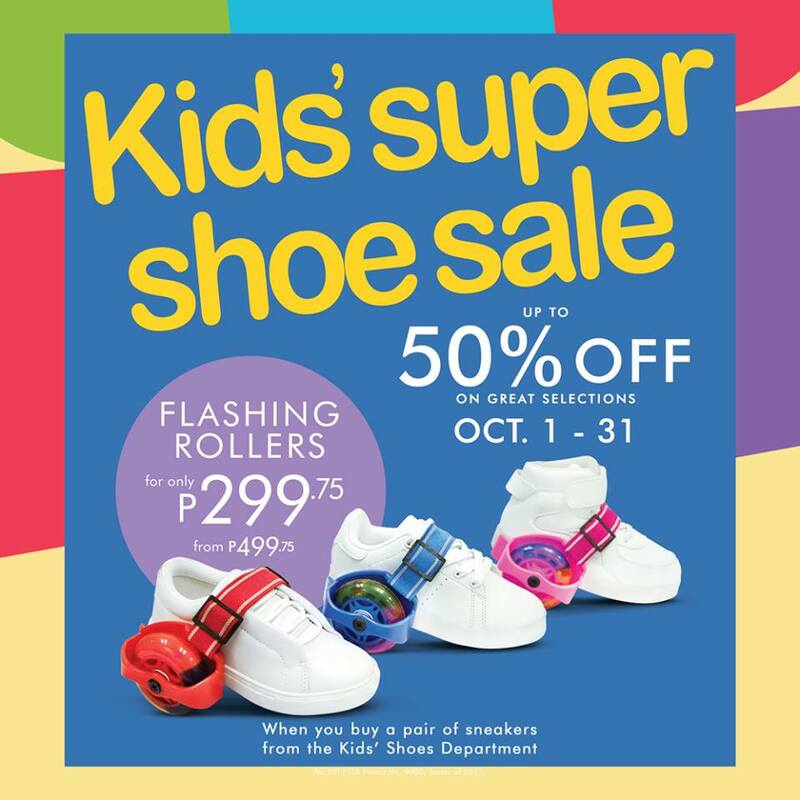 It's also the SM Kids Super Shoe Sale in all branches of The SM Stores nationwide happening now until October 31, 2017. Get up to 50% OFF on your favorite children's shoes brands! Plus...Get the 2-wheel Flashing Rollers FOR ONLY P299.75 when you buy a pair of sneakers from the Kids’ Shoes Department!